You may be aware of how surgery may help you improve your life in certain situations, but have you thought of the challenges you’ll face during recovery? If you have a surgery coming up soon, don’t worry. The physical therapists at Advent Physical Therapy can provide post-op rehabilitation to assist you in your recovery and help you overcome the challenges you’ll face after your operation. Depending on the nature of your surgery, it can be difficult to do many things on your own while your recovering, including walking, going to the bathroom or even eating. 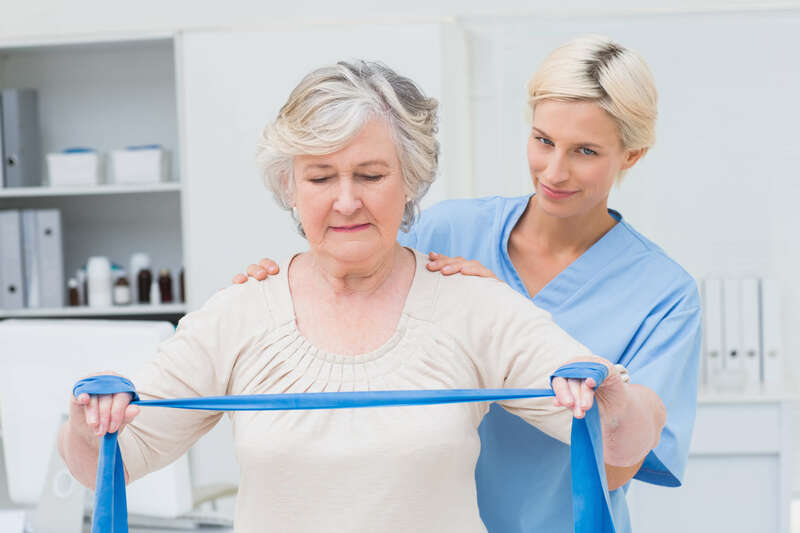 Surgery can zap a lot of your strength, mobility and energy, but a personalized physical therapy treatment can help you regain your ability to live independently again. Advent Physical Therapy has been helping patients in West Michigan recover from surgery for more than 19 years. Our team uses modern methods and technology as part of a comprehensive and personalized recovery plan for patients like you. What is the goal of post-surgical rehab? Your physical therapist will also provide guidance for developing independence for tasks like walking or going to the bathroom. Our team is passionate about helping patients improve their quality of life. Your physical therapist will work closely with you to identify your needs and develop a personalized treatment for you. Are you undergoing surgery soon? Would you like to speak with a physical therapist at Advent Physical Therapy about your post-op recovery options? Contact us today to schedule an appointment. Physical therapy is beneficial before your surgery too. Talk with one of our team members about your pre-surgical rehabilitative options.